I feel so legit now :) but I also feel the need for a complete redesign... Not sure where to even start with that. The forecast for the next few days will include 50-60 mph winds as well as 15-20+ feet high waves which will be crashing onto the lakefront thanks to the FrankenStorm. The national geographic explorer photographer (aka crazy person) in me wants to go take photos. Im mildly concerned about getting washed away. Who's with me?? This weekend I ran 2 times with my boys. The weather was chilly, but beautiful. I actually ran 12 miles for the week! My ITB is still a bit funky & the ankle is almost 100%. I'm running for fun and that's all that really matters to me currently. I will start strength training today too. I'm a lazy arse when it comes to stretching (I don't do it at all- for good reason), core strength, and weights. There is so much benefit from doing these activities (minus the stretching- story for another day..) that I need to get with the program. Running in the morning when the bears are playing at home is risky... 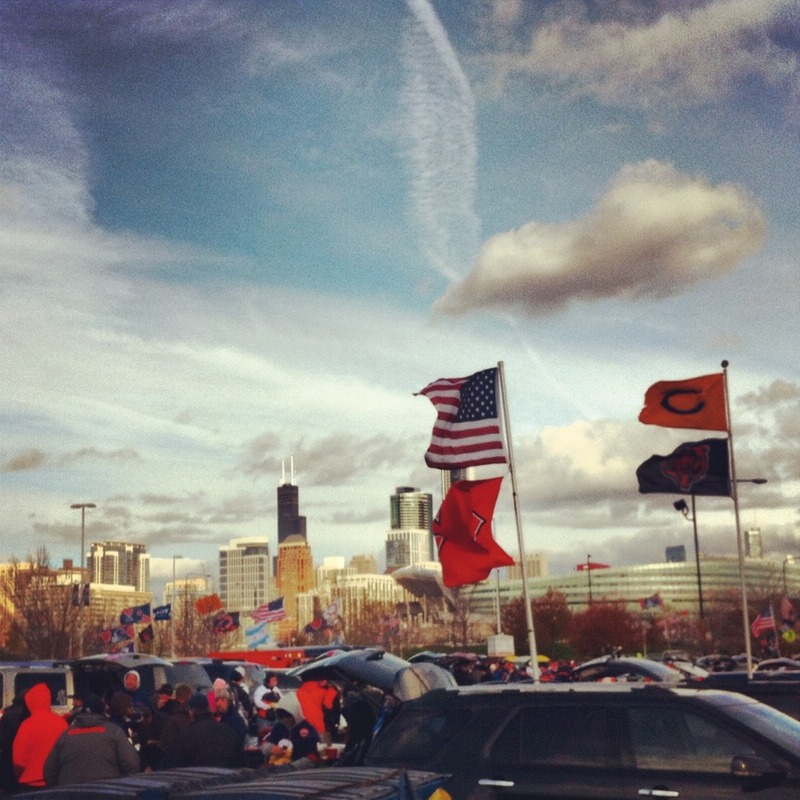 Since I ran down by soldier field, I encountered 1000's of people tailgating and cooking delicious things on the grill at 8am. Needless to say my mind kept thinking about joining them for a burger- I'm sure Cb dog felt the same. I made my favorite soup this weekend. 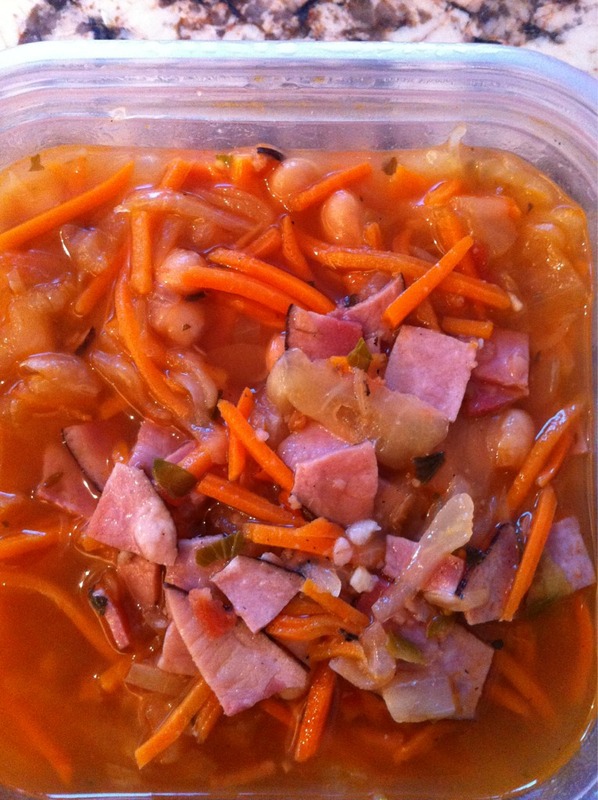 It's the Hearty ham and white bean soup I found from Runners World a while ago. It's easy, delicious, and pretty quick to make. 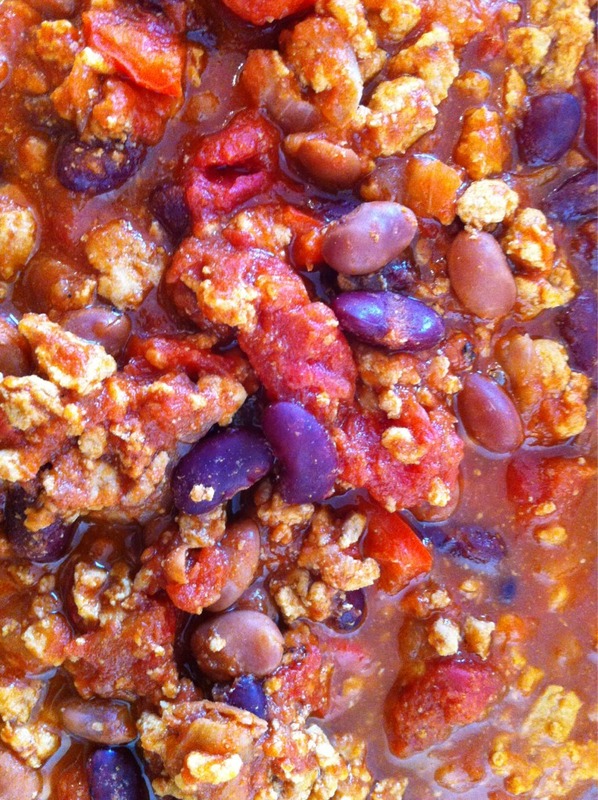 I also made the Men's health, one pot turkey chili also found on the runners world recipe page. Both recipes came out great!! Yum! I fire roasted a jalapeño on my gas burner as a garnish for the chili last night. Basically I let the pepper sit in the flame until its skin was black. Then I peeled it and chopped it to top the chili. Lesson learned is- no matter how many times you wash your hands after handling a spicy chili, the oils will still be on your hands which will cause your nose, lips, eyes to burn each time you touch them. Even if it's 12+ hours later. be careful! In other news, Yay Giants! During the weekend runs, I also discovered my dog is a Chupacabra. 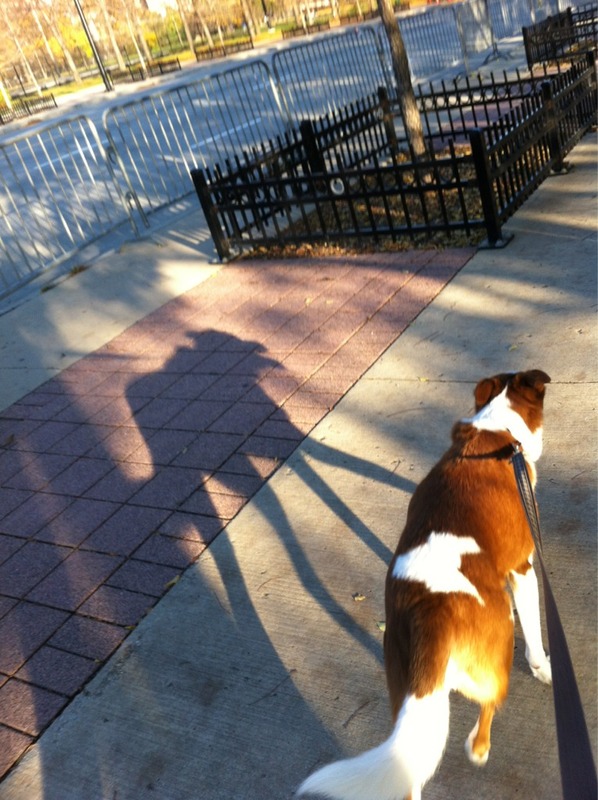 The shadow is infinitely more menacing than the CB dog. Who wants to go see the crazy waves? What's your go to easy winter recipe? next up will be French Onion Soup..
Congrats on the new domain name! Also, great pictures. Sunday was a spectacular day by the lake. I am thinking about making one of those recipes. Maybe I'll start with the ham and bean soup. I am planning on running to the lake tomorrow. Maybe I'll see you as we both get washed off shore by the 20 foot waves! 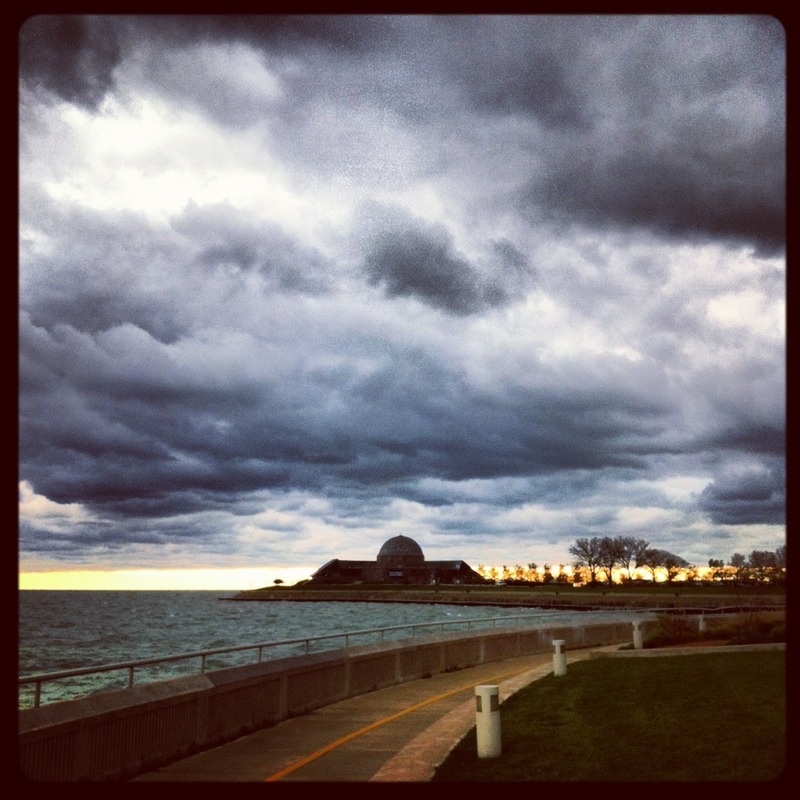 I'm planning on heading out near the Shedd or Adler to see the waves from a safe distance. Don't get washed away!! Bobbi at readytoblogdesigns.com did mine!!! She's wonderful! There will most likely be some surfers out there! Love watching the waves, always hated trying to tackle the 30+ mph winds. When I was in culinary school I made the mistake of picking up a habenero pepper bare handed thinking it couldn't be that strong, boy was I wrong! Taking out my contacts that night nearly blinded me and my fingers burned for days! Never going to make that mistake again! Hmmm I'm working from home today ... maybe I should take a field trip up to the Indiana shore this afternoon. Hope you get to see some serious wave action! Crazy waves sound like fun watching, but not so fun to be in. Glad you are running for fun, that is all I am doing right now too and loving it. That photo you took of the clouds and the water is awesome - I've seen some people post fake photos of the storm, which seems really bizarre to me. And American's wonder why we are sometimes under-prepared for storms, with people posting fake photos? Awesome on running by the Bears tailgate, they escaped with their lives yesterday against Carolina! Don't know how Carolina lost that one, but they found a way. How fun!!! 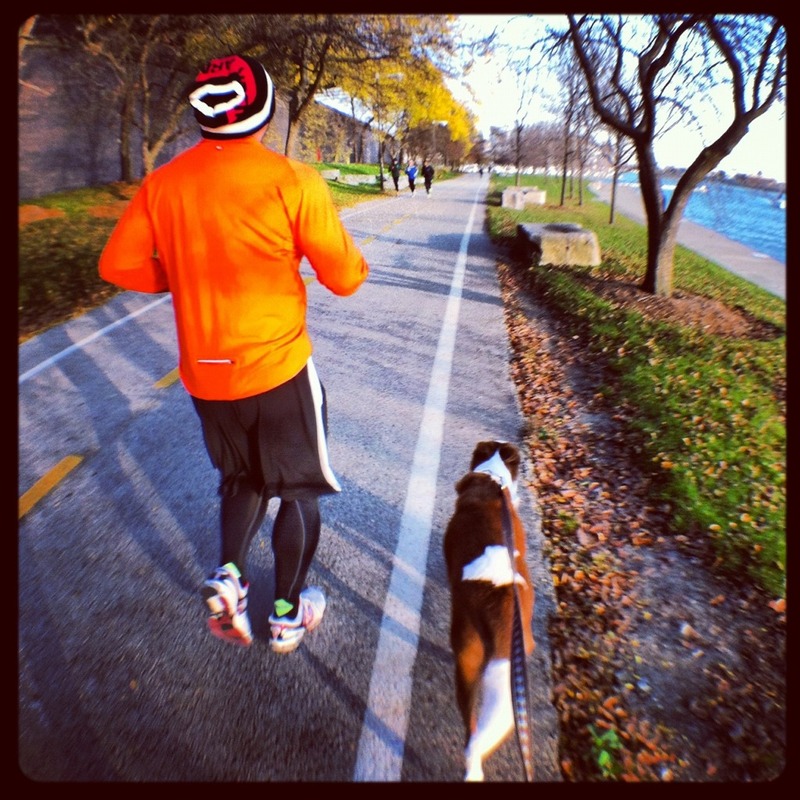 I wished I lived closer to the city so I could run by the lakefront more often! I want to see them too. And I want to hear your anti-stretching rant (someone told me I need to stretch more this weekend). I'll do a post about my anti stretching stance soon. Might be fun to stir the controversy a bit. congratulations on the domain, I want to lose the blogspot out of my addy too. The soups look really good. I made a new crockpock chicken taco recipe. It was delish! I'm downtown and so is Running with Kellometers! 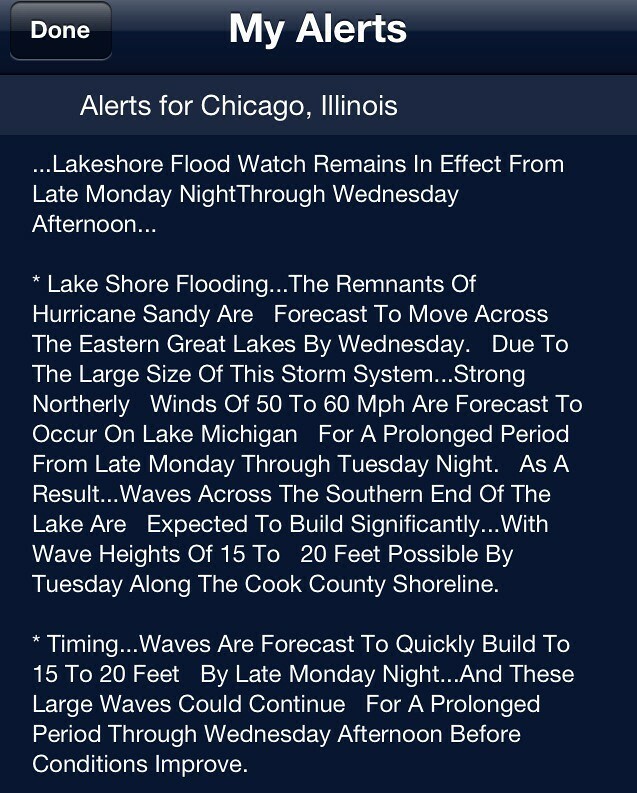 Maybe we can make a human chain of Chicago Running Bloggers to get some decent photos of the lakefront waves. Hmmmm....wonder if Kelly will appreciate my "volunteering" her. :) Hehehehehe!